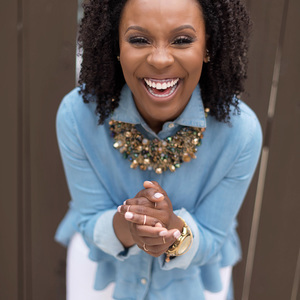 Chianti Lomax is a Certified Executive Coach, Yoga Instructor and founder of The Happy Pop-Up, a purposefully curated interactive experience that introduces the science of happiness to the world. Chianti’s mission is to create safe spaces for experiential learning and meaningful connections. With 12 yrs of experience in management consulting, she is passionate about taking her work into corporate workspaces to develop mindful and creative strategies for employee engagement and retention.